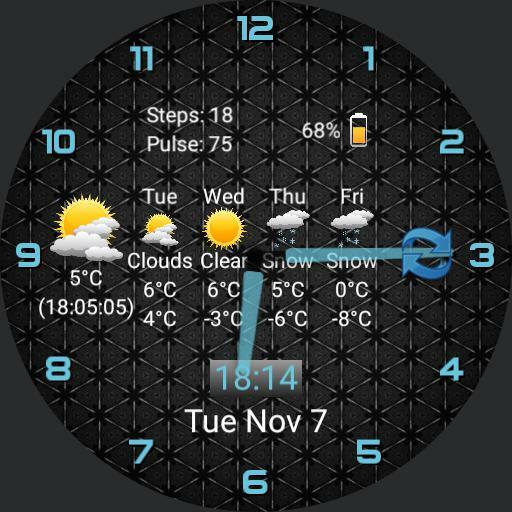 A fairly minimal flat watch face that displays analog 12 hour and digital 24 hour time, current weather and forecasts, steps and pulse, and watch battery level. Watch arms are semi-transparent to allow you to see all of the information behind. Select the color of the arms and numbers. Tap actions for calendar, weather, update weather, health.